Here’s the thing beloved ones… Jesus is saying this, if what He is speaking is strongly planted inside of you, His rhema revelational words of life… then you can ask and it will be done why? When your lives bear abundant fruit, YOU demonstrate that you are Jesus’s mature disciples who glorify the Father, and how is that? When the WORD of Life gets inside of you and you hold it dear, so much so you practice it, apply it and fully believe (which in Hebrew means trust and do) it… it is part of you because it is inside/abiding IN you! “Beloved friends, what should be our proper response to God’s marvelous mercies? I encourage you to surrender yourselves to God to be his sacred, living sacrifices. And live in holiness, experiencing all that delights his heart. For this becomes your genuine expression of worship. 2 Stop imitating the ideals and opinions of the culture around you, but be inwardly transformed by the Holy Spirit through a total reformation of how you think. This will empower you to discern God’s will as you live a beautiful life, satisfying and perfect in his eyes”. If you remember scriptures tell us that JESUS said the Holy Spirit will teach, lead, guide, direct, comfort and remind us of all HE taught! IT begins with hearing what JESUS said which means what? READING the Word asking Holy Spirit to reveal truth to your heart to set you free and transform your mindset and belief system! When HIS Word is alive in you like that, then what you ask will be something that is within the perimeter of His will because you are surrendered to His transformation and that beloved is when you begin to see answers to prayers through your interaction WITH Him! 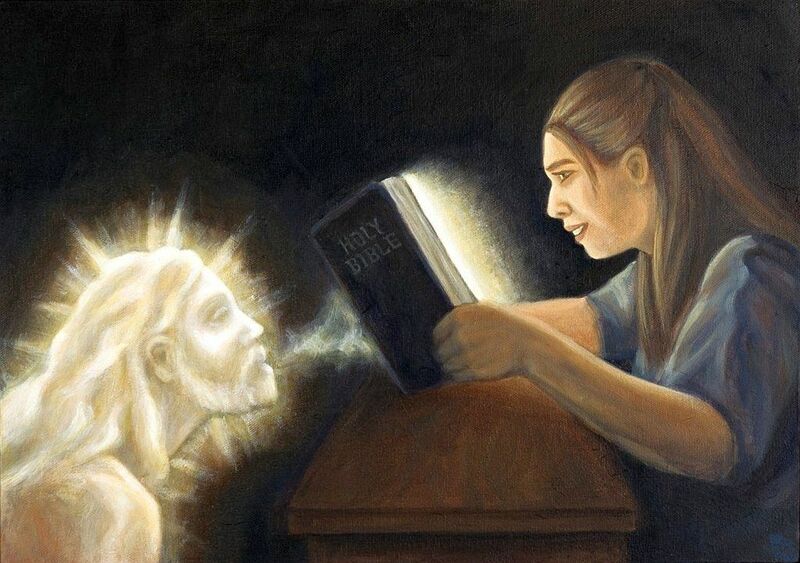 Ponder that before the Lord beloved ones, and ask for His revelation Light to shine upon your heart and upon this word and the verses to give you insight into His ways and who HE is… love and blessings!